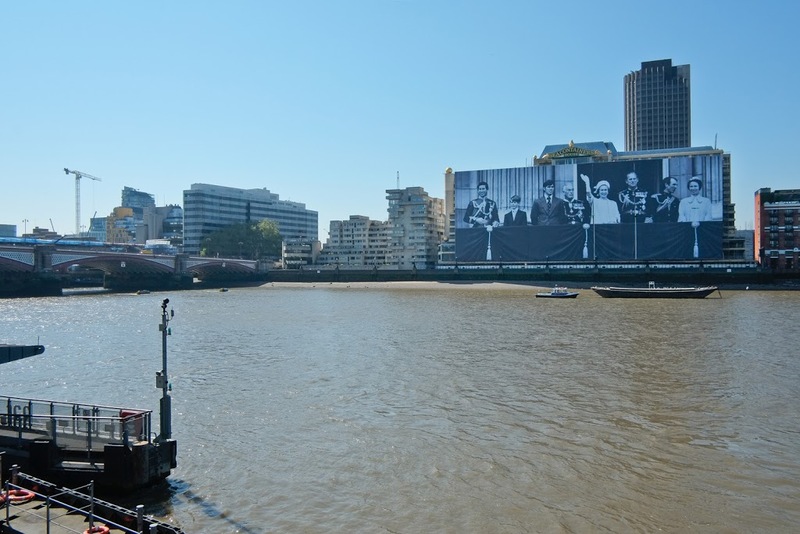 Her Majesty Queen Elizabeth II made a spectacular appearance at Sea Containers on London’s South Bank today, when she was abseiled into position alongside Prince Philip and their children to feature in a giant 100m x 70m wrap celebrating the Diamond Jubilee. The image, taken at Her Majesty’s Silver Jubilee 35 years ago, took 45 hours and a team of eight to erect across the face of the building. Sky, Reuters, CNBC, Associated Press, National News, the Daily Telegraph and the Evening Standard were among the team of journalists attending the photocall at 10am. Throughout the week building up to our big reveal, we’ve been busy interviewing global design guru Tom Dixon about the incredible building work going on behind this wrap – look out for Europe’s first Mondrian Hotel, the Mondrian London, opening at Sea Containers at the end of 2013, along with 300,000 square feet of luxury, state-of-the-art office space – many of which are located at penthouse level, boasting views across the Thames. We will certainly consider moving to this new address as soon as we get to recce the available space! 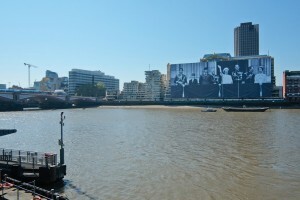 In the meantime however, Golden Goose PR has set up a pop-up office inside HMS President to look after media visiting the Jubilee Wrap this week, we look forward to receiving the BBC here this evening. 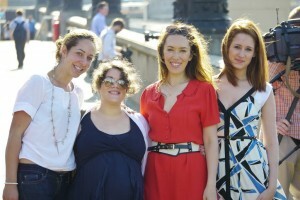 Thank you, HMS President, for looking after us so well. And many thanks have to go to the brilliant team at Service Graphics for creating such a brilliant image and to Jim Marks for incredible photography and filming.